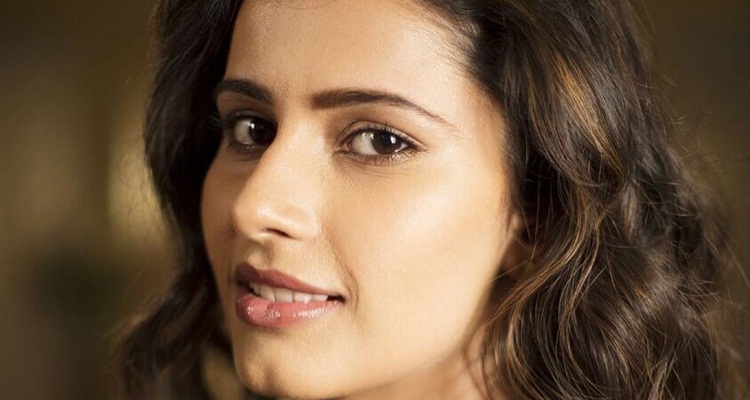 Actress and model, Shivani Tomar plays the female lead in Iss Pyaar Ko Kya Naam Doon season 3 starring Barun Sobti which premiered on July 3, 2017. She made her television debut in 2013 with the TV-show Crazy Stupid Ishq which aired on the V channel. Since then we have seen her in a number of TV-shows. She has also been a part of several TV-commercials and modeling projects. Find out more about her in Shivani Tomar’s wiki. Shivani Tomar was born on February 22, 1990. Her hometown is New Delhi. Her height is 5’4’’. Her sister’s Name is Neerja. Not much is known abou Shivani TOmar’s family. Shivani is cast in the role of Chandni opposite actor Barun Sobti who plays Advay Singh Raizada in Iss Pyaar Ko Kya Naam Doon. Advay is back to avenge the death of his parents at the hands of Chandni’s family. Chandni is a well-educated person who excels in Sanskrit. She is well versed with all the rituals and is a huge follower of the Bhagavad Gita. She is a strong individual who has been raised well by her parents. For all the Fans who have been Trying to Contact Shivani Tomar, She is Single! I was a bit shocked and happy to hear that the 27-year-old beautiful actress does not have a boyfriend. She said in an interview that she is a strong and independent woman who does not like to comment on her personal life. Shivani Tomar’s images are searched all over the internet owing to her huge popularity among the male audience. Shivani made her Television debut with Crazy Stupid Ishq in 2013. Subsequently, she got the lead in Friends Conditions Apply in 2014. Later she was seen as the female lead in Hum Aapke Ghar Mein Rehte Hain starring Aditya Pandey. She was last seen in Kasam Tere Pyaar Ki and Pavitra Rishta. Something you might not find on Shivani’s Facebook or Instagram page, Sociofreak has found one of her audition videos. Take a look at it here.